Mental Health First Aid is an 8-hour course that gives people the skills to help someone who is developing a mental health problem or experiencing a mental health crisis. The evidence behind the program demonstrates that it does build mental health literacy, helping the public identify, understand, and respond to signs of mental illness. What do people learn in a Mental Health First Aid course? 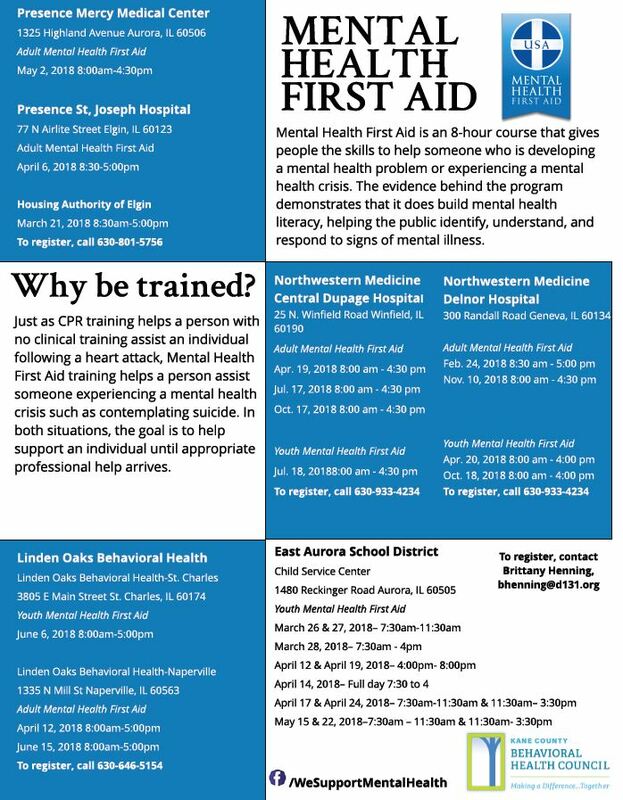 Where can I find a Mental Health First Aid course in Kane County?